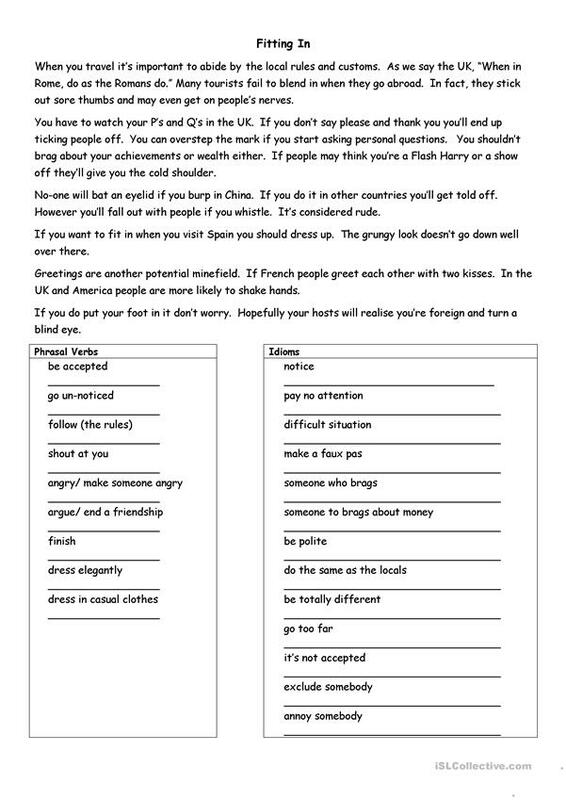 Phrasal verbs and idioms related to manners, socializing and international customs. 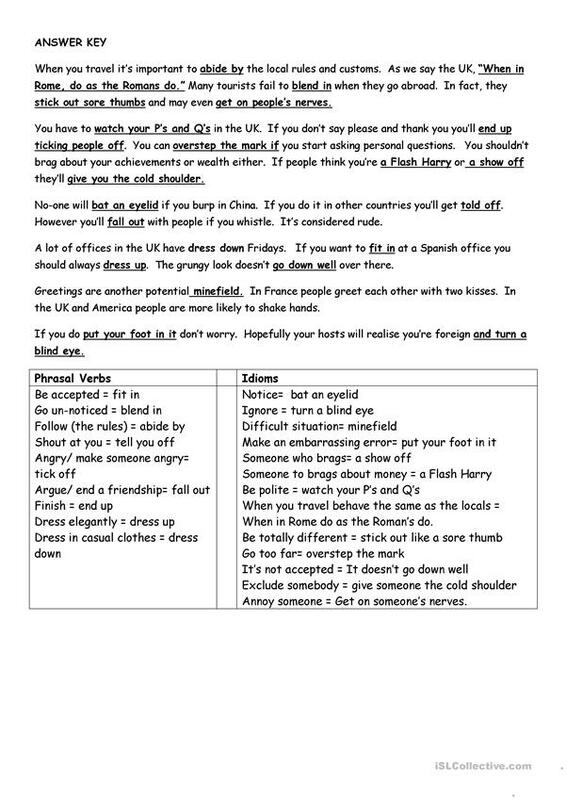 Students read the text and circle any phrasal verbs and colloquial expressions they can find. They then match the phrasal verbs and idioms to the their meanings. This downloadable handout was created for business/professional students, high school students and adults at Upper-intermediate (B2), Advanced (C1) and Proficient (C2) level. It is a useful material for practising Phrasal verbs in English, and is a valuable material for developing your learners' Reading skills. It focuses on the vocabulary topic of Idioms. It includes the solutions, too.